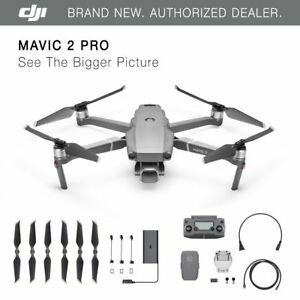 Details about DJI Mavic 2 Pro - Hasselblad Camera - HDR Video - Brand New! Just as described, very fast shipping. Would definitely purchase from again. Great price, fast shipping. A+ for sure. Pleasure doing business with! Fast order processing and shipping! Shady practices! Dishonest seller! Stay away!!! 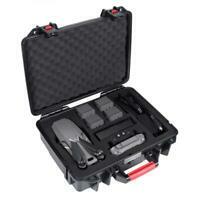 Great bargain on the best pro-Sumer drone available. Yeah, it’s a little pricey. But I look at the curve technology has taken over the last decade or so and in that respect it’s a steal. It wasn’t that long ago that to get these kind of shots (forget quality, it wasn’t available) you would need to rent the services of a helicopter. Then you’d have to take your footage to an editing house, on and on. Now, for a small investment, you can have an entire production studio in your home. For real! Really looking forward to getting better acquainted with this incredible device. I purchased this bundle because it was the same price as the price from DJI, in hope that some of the accessories in the kit would prove useful. So far it's all (the accessories)going in the trash except the landing gear extensions. Completely new drone as described. I love it.